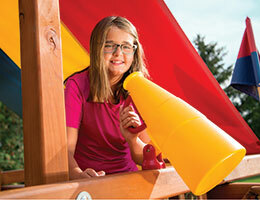 See all of the add-ons you can add to your Rainbow for a lifetime of fun! 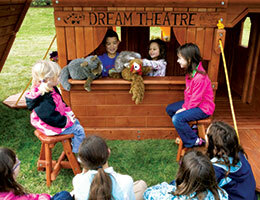 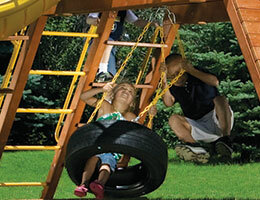 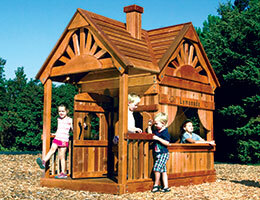 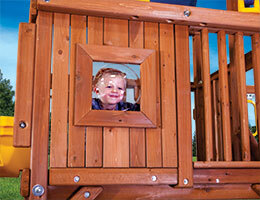 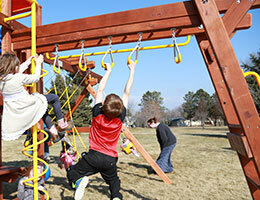 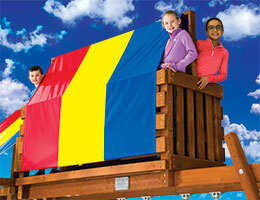 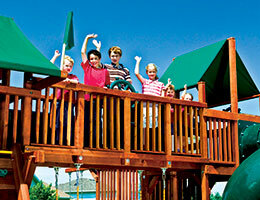 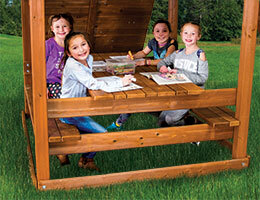 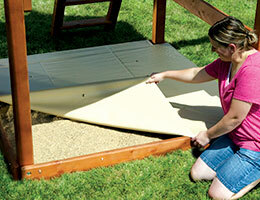 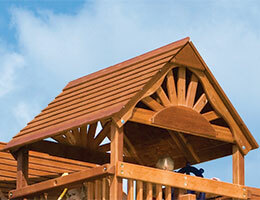 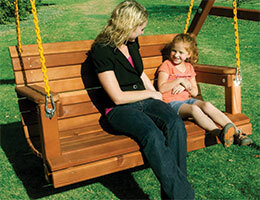 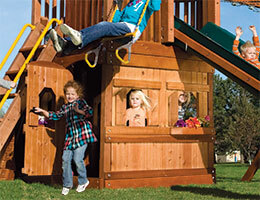 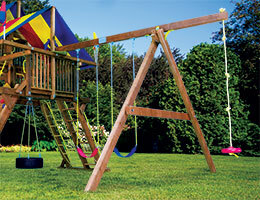 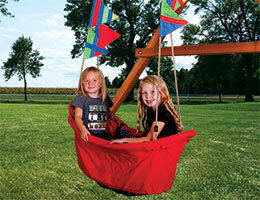 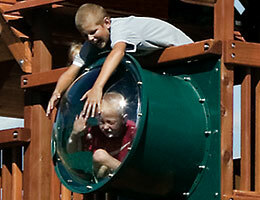 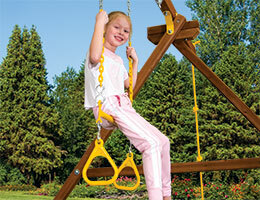 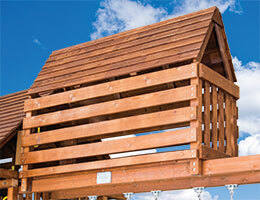 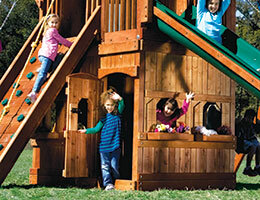 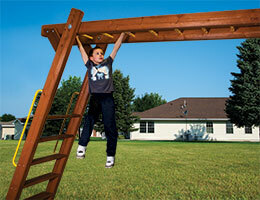 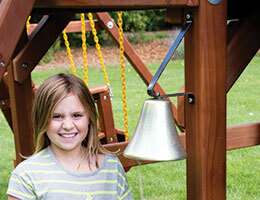 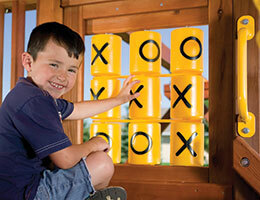 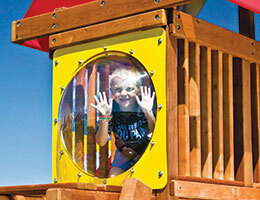 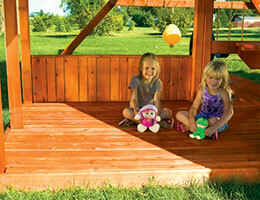 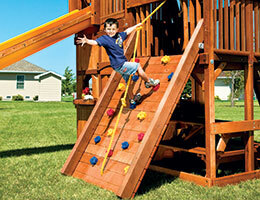 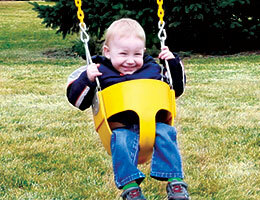 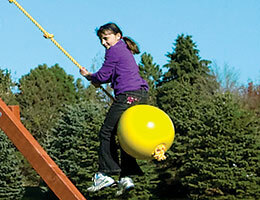 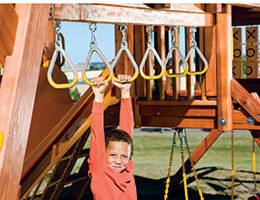 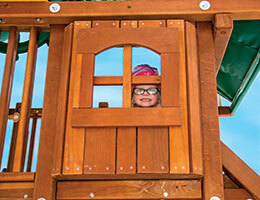 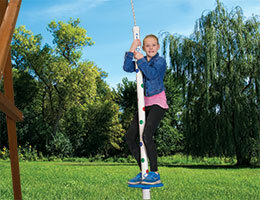 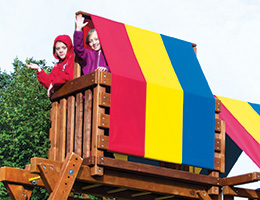 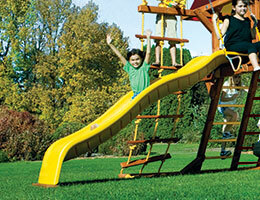 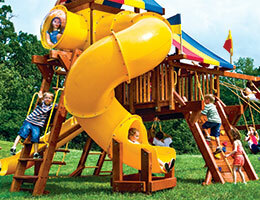 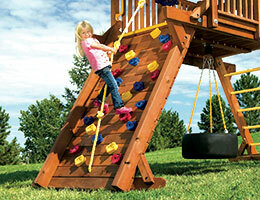 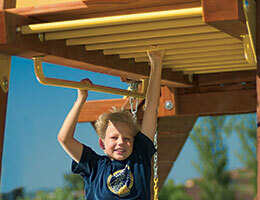 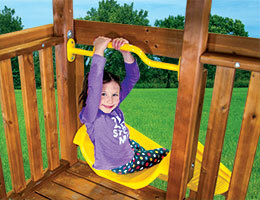 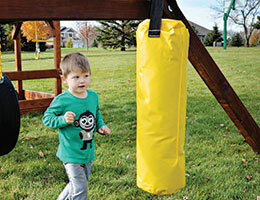 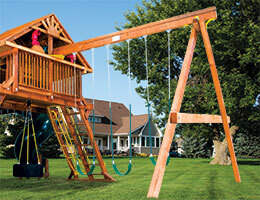 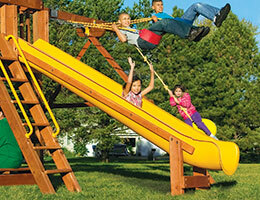 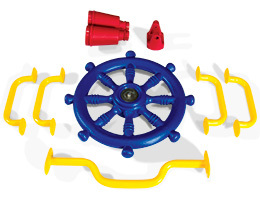 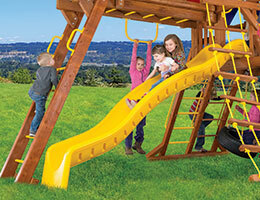 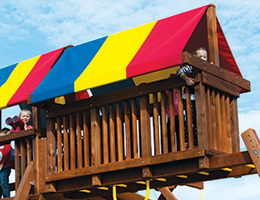 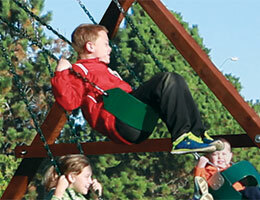 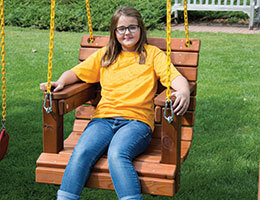 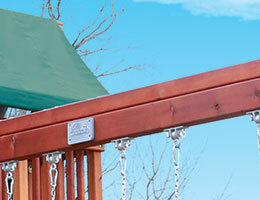 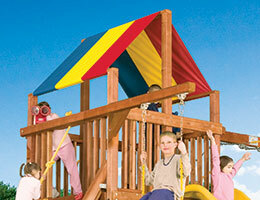 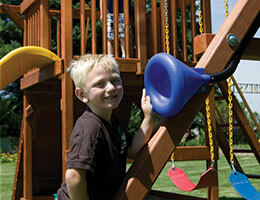 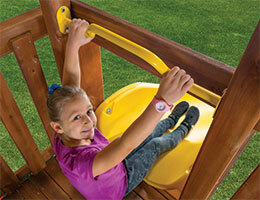 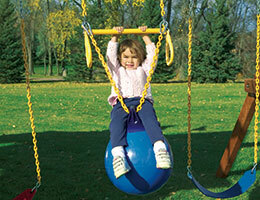 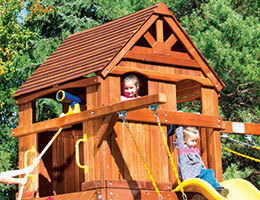 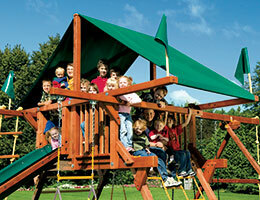 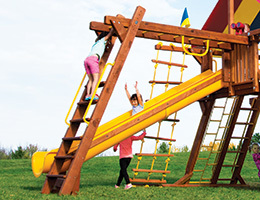 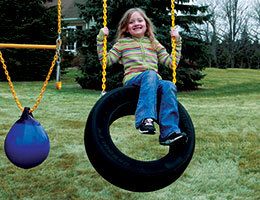 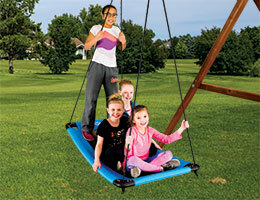 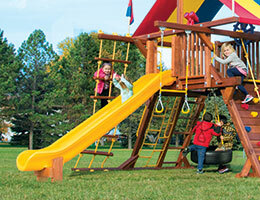 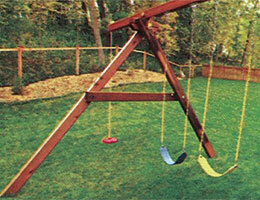 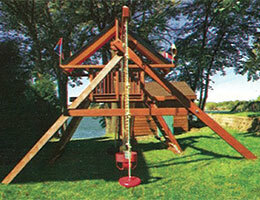 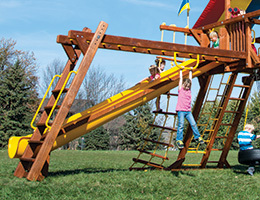 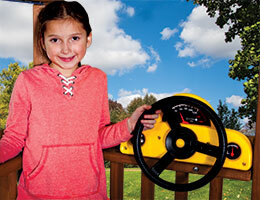 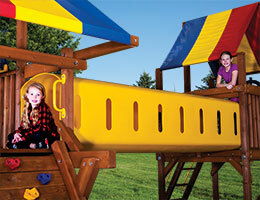 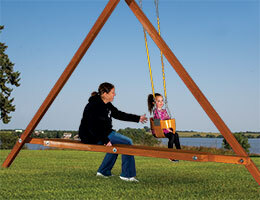 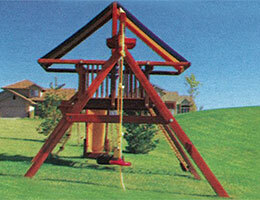 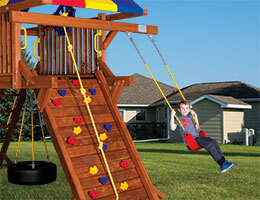 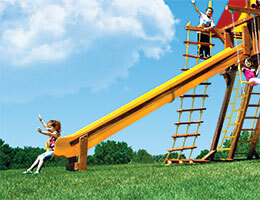 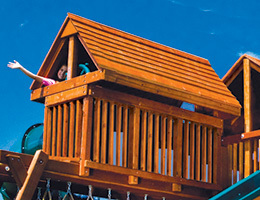 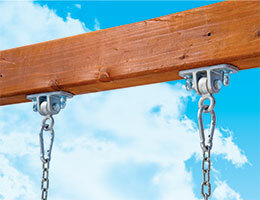 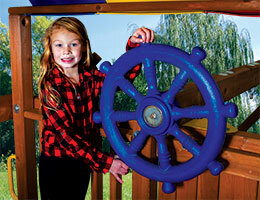 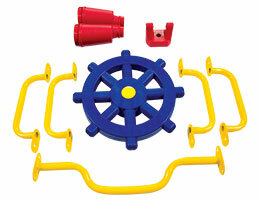 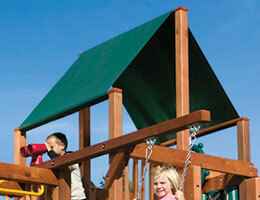 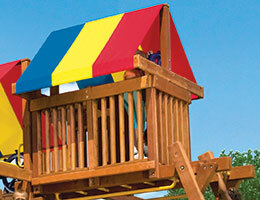 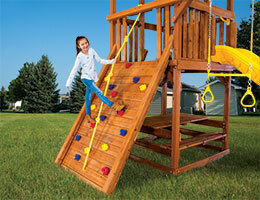 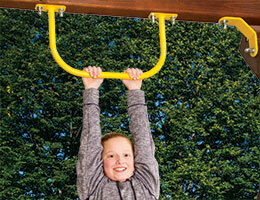 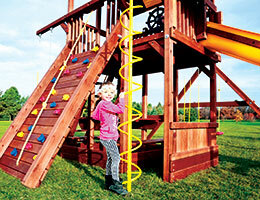 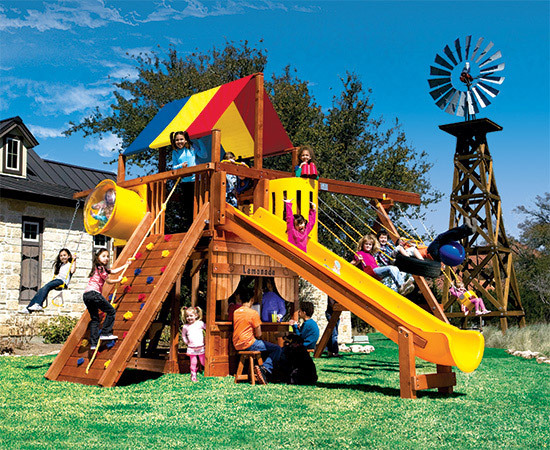 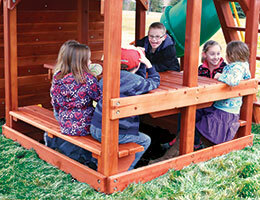 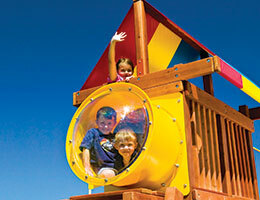 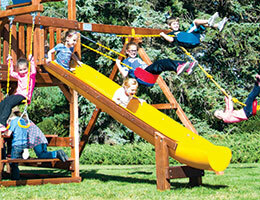 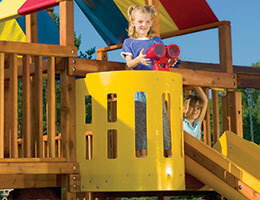 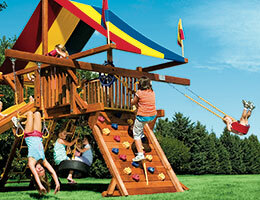 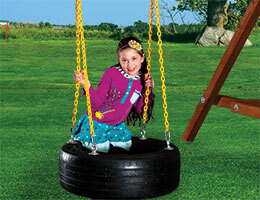 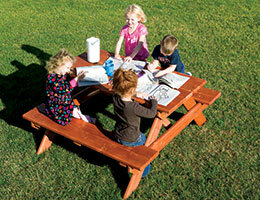 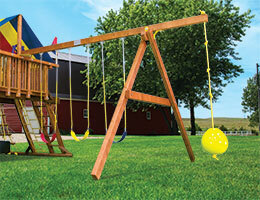 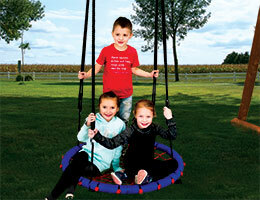 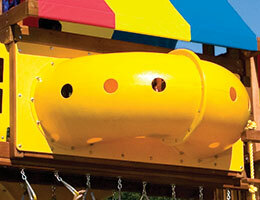 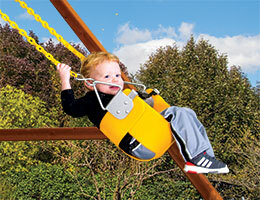 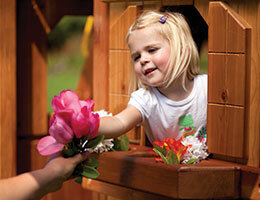 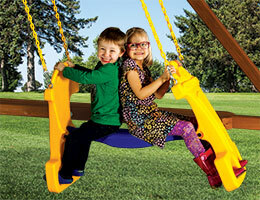 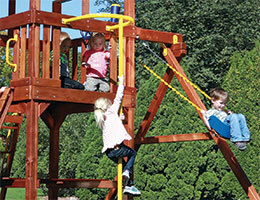 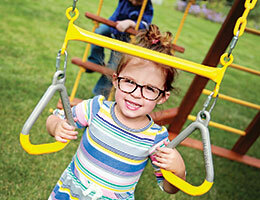 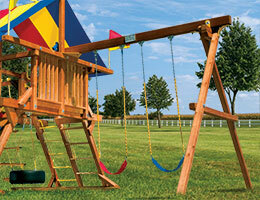 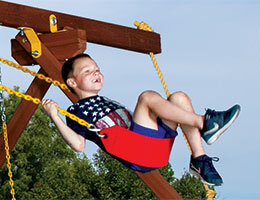 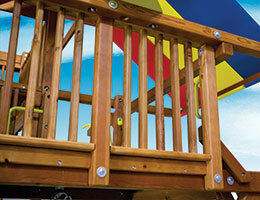 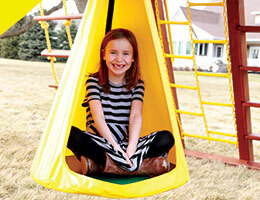 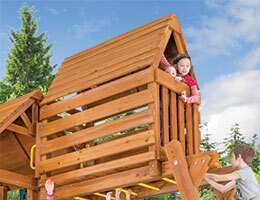 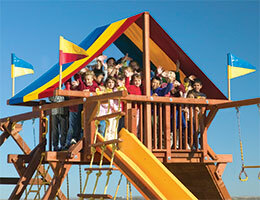 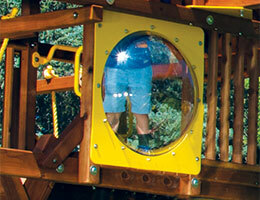 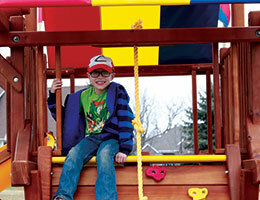 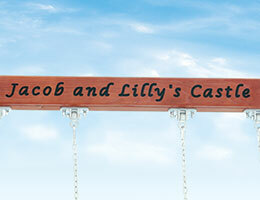 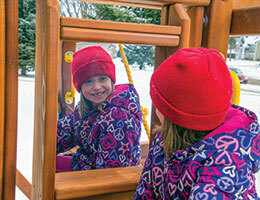 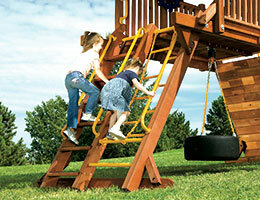 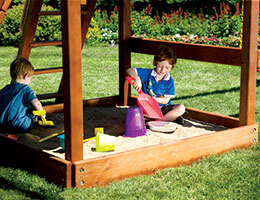 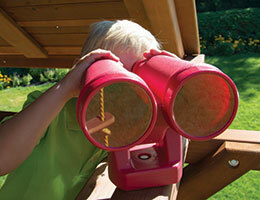 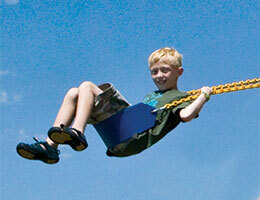 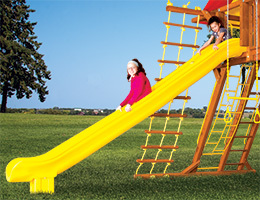 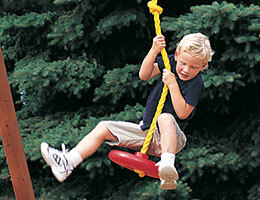 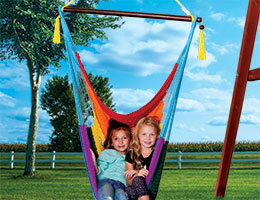 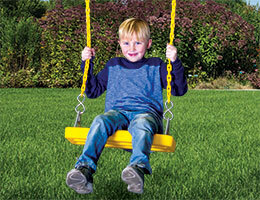 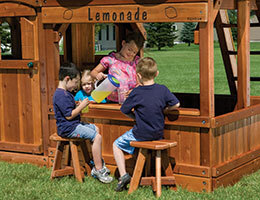 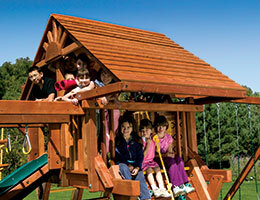 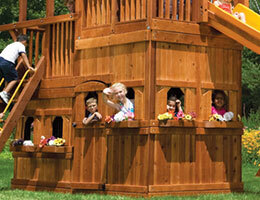 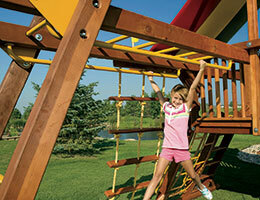 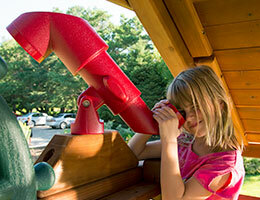 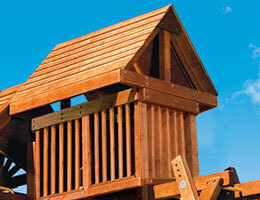 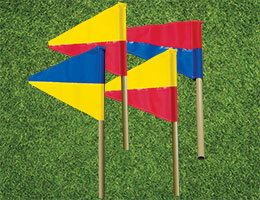 Contact your local showroom for options specific to your swing set. 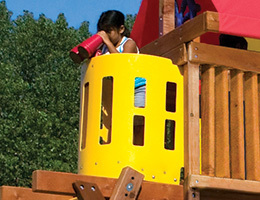 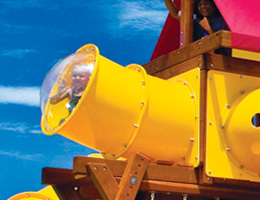 Let them try the Monster Castle! 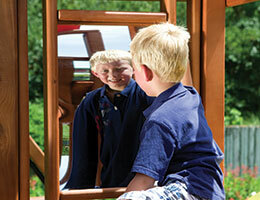 Experience the rainbow difference in your closest showroom. 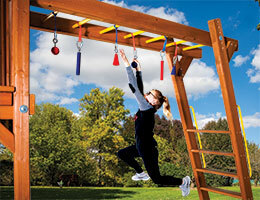 Climbing and swinging is encouraged!